Once again I find myself having finished (albeit still editing) a story, and once more, like a dog that hasn’t pooped on the rug in a while, I am rewarding myself for the effort. That reward being a small tradition I began when I started writing: a few books and the time to read them. If anything, that is my lone regret with regards to writing: it takes away from my reading time. Thus, using it as an incentive for myself makes the whole deal that much sweeter. In other words, it works for me! Hopefully it works for you too as it gives me a chance to highlight here some of the finer works I’ve treated myself to. I am not normally a listener of Lady Gaga; however, I have to admit that while reading this book one her songs came to mind: Born This Way. If I could think of the perfect theme song for Stilson’s younger self, that would be it. Bible Girl is the second in a trilogy of memoirs from EC Stilson. The first was the excellent and emotionally wrenching The Golden Sky. However, much like Indiana Jones and the Temple of Doom, this sequel is actually a prequel. It details the final days of Stilson’s high school career and her journey towards both becoming an adult as well as falling in love. Whereas The Golden Sky has a tragic undertone to it, Bible Girl is a much lighter affair. Most of the drama is centered around teenage angst as well as several members of the support cast (many of whom come across as judgmental assholes if I may be frank), but that’s about as deep as it gets. Regardless, Stilson has a way of making even her lowest moments shine. That being said, the majority of this book focuses on the humorous and absurd aspects of her life, and the odd circumstances that lead her from being an awkward teen to those first important steps as an adult. Stilson truly has a gift for writing, being able to take what might otherwise be mundane events from her life and turning them into an engrossing story that keeps one turning page after page. If I have even a single critique about this book it’s that on occasion one wants to reach through the pages and smack the author’s teenaged self upside the head. However, I’m convinced the same can be said of anyone. Who amongst us wouldn’t want to step into a time machine and beat some sense into our younger self? If such a service was ever offered, I know I’d be the first in line. 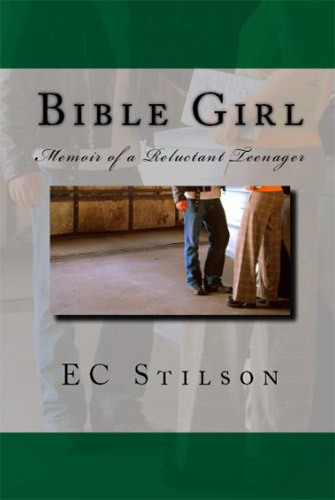 Bible Girl is a fun story about growing up as an outsider. It’s funny, quirky, and thought provoking at the same time. It’s every bit as good as her first book, which makes me look forward to the next in the series. 5 Stars. Atticus for the Undead reminded me a lot of M. Night Shyamalan’s Signs. No, I don’t mean the dopier aspects of the movie. It’s because this is a small, personal tale set amidst a much larger backdrop, most of which we’re only given hints about. Abramowitz’s story takes place in a world where supernatural beings (known as arcanes) have become known to the world. However, rather than waging war against humanity, they’re just trying to fit in...not entirely unlike the beings from Alien Nation or District 9. Unfortunately, also like the creatures from these works, the arcanes in Atticus for the Undead must contend with racism and being treated like second class citizens. Who will help them? Why Hunter Gamble, that’s who! Gamble, the main protagonist of the story, is an idealistic young lawyer who’s fighting to do what’s right despite the risks (both personal and professional) to him and those around him. I am normally not a fan of legal dramas, either written or on TV; however, Abramowitz’s story never gets bogged down in tedious details. There’s enough there to give you the sense that he knows what he’s talking about, without making it feel like you’re reading a legal brief. It’s combined with an interesting take on the various denizens of the supernatural world, of which a few bad seeds ruin it heavily for the rest. There are a few downsides I need to point out. For starters, some of the dialogue doesn’t feel natural (and no, I don’t mean supernatural either). At times the flow of it feels a bit stilted. More problematic, it almost seems as if a chunk of story is missing in the middle. There’s a romantic subplot that suddenly goes from A straight to Z with no feeling for how it got there. Because of this, when one character suddenly proclaims their love for another, it kind of ends up feeling creepy and desperate instead of romantic. Finally, there’s the ending. I won’t spoil it except to say that I thought it was a good ending. However, it also felt a bit too abrupt. I think it could have been fleshed out a bit more so as to leave a better impact. That being said, I enjoyed Atticus for the Undead. It has made me rethink my normal distaste for legal entertainment. Should Law & Order ever introduce zombies, I might have to give a look. 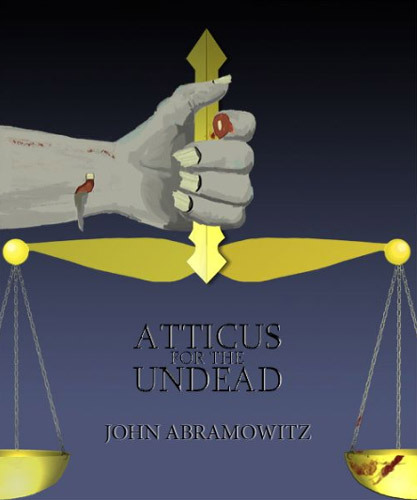 Atticus for the Undead is a fun peek into one of the many microcosms of life that might occur just on the fringes of an epic story. A solid 4 Star read. Excellent thoughts on BIBLE GIRL. I had to opportunity to read it through several times, and your points are spot on. Thanks for reviewing Bible Girl. Elisa is so talented. It was an awesome read. I hope she moves a ton of them. I need to find time to read again. Maybe I should try your reward system. It works pretty well. Both something to look forward to as well as a nice bit of downtime to let someone else do the storytelling.